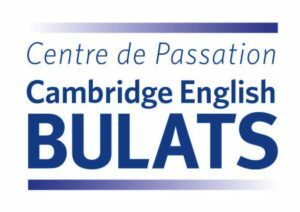 Alpine French School is very proud to be named as a test centre for BULATS tests which are Cambridge English & Alliance Française language assessment certificates. Take a BULATS test to receive a certificate of your level in either English or French. This also means that you can use your CPF training budget with Alpine French School. Alpine French School is also a test centre for BRIGHT Language Tests which can be taken in French or English. This test gives a certification of your level according to the CECR levels and can be incorporated into your CPF training packages. Alpine French School is an approved language school for financial aid for language training. Learn French using a business training budget. We find out your budget entitlement and then organise your training grant for you. We will submit your application and liaise with the training budget organisation through to approval and payment. If you are registered as a French Auto-Entrepreneur, you should be eligible for a training budget which can cover up to 100% of the cost of your French studies with Alpine French School. Your entitlement starts from the calendar year following the year of your first declaration. If you are have your own French registered business and pay social charges in France, you should be eligible for a training budget which can cover up to 100% of the cost of learning French with Alpine French School. Your entitlement starts from the calendar year after you first set up your company.